The ruling class in all country get excessive profits but helping throw a country into civil war is not humanitarian aid it is inhumane aid..
i'm struggling to find the good guys in this awful mess. maybe they are all running or trying to run away. Why is the US and the UK giving aid to Iraq when that aid is being diverted to Syria ?. 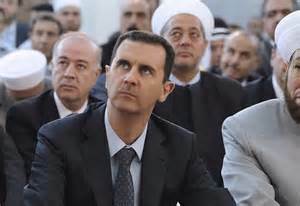 I'm finding in hard to reconcile "Despite the desolate landscape of destruction that loyalist troops leave behind and the sanctions imposed by Western countries" and the paragraph ""There's almost not a single dollar legally going into the state's coffers," says a former close friend of the al-Assad clan. "The oil wells are now under the control of the rebels or of the Kurds. People don't pay their taxes anymore, nor their water or electricity bills. All the regime has left to pay the civil servants' wages are its schemes and direct aid from Iran and Iraq."" From my experience contradiction such as this is caused by bias. Middle Eastern Politics are complex as they are brutal, over the years I have read many conflicting reports often biased towards a political leaning, each one convincing, each one contradictory. We can 'name and shame' 'til the cows come home but it will not make a jot of difference to the outcome. In the meantime, the people of the countries involved become more shell-shocked, displaced and desperate, while 'The Man' dictates their fate and sadly will continue so to do. One Death is a Tragedy, millions a Statistic, never a truer quote, lest we forget just what makes the wheel go around and keeps it spinning.